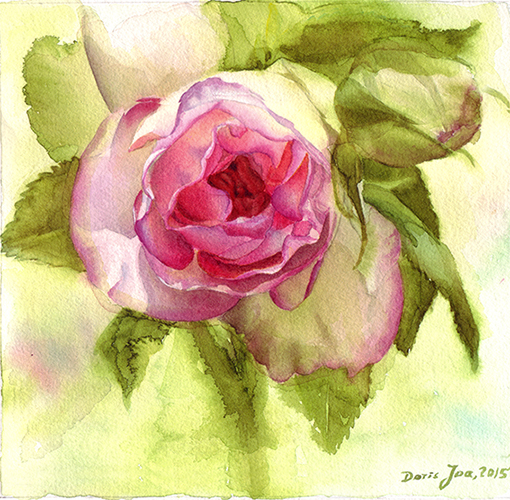 One of my newest watercolor paintings is the painting of the Eden Rose. I have painted this rose before but this time it is a bit different. 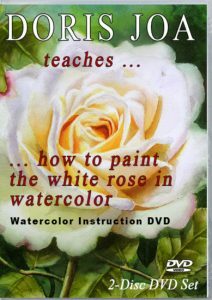 I started – as I usually do – with the rose and worked on each petal. The beautiful pinks are created with Purple Magenta and Quinacridone Rose. Purple Magenta is a very cool pinkish colour and so it is used mainly there where the rose is hit by the light. Quinacridone Rose is a warmer pink colour – especially when comparing it with the Purple Magenta – and so it is used where the petals of the rose are laying in shadow. Of course I also used some yellow, some orange and some red and some blue to give the rose its realism and its form. 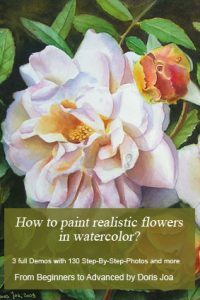 When I started to paint this rose I was sure that I would do a different background – a dark one maybe and I also was sure that I would paint the leaves in a detailed style, too. 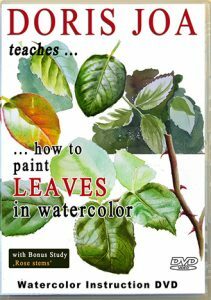 But when I started with the first wash on the leaves I then figured out that this wishy washy style of the leaves do say it all. 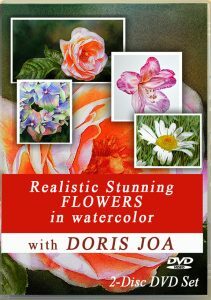 There was no need to paint realistic or detailed leaves to support this Eden Rose. It wasn’t neccessary. The Eden Rose is the focal point and it shows its full beauty. So I could finish this watercolor painting much fast than I imagined and this is the finished result. 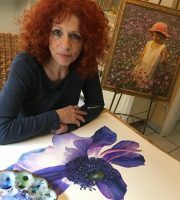 I have created some wonderful prints of this beautiful Eden Rose in watercolor. 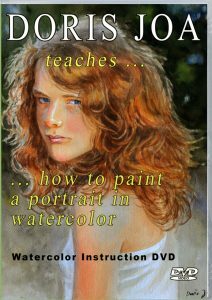 Want to learn more about how to paint roses then just check out my Watercolor Painting Instructions or my available Free Art Lessons.